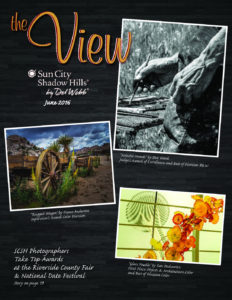 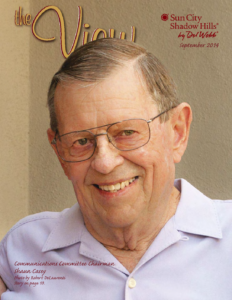 The View magazine is constantly in service to our community as our “journal of record,” bringing together every source of news within and about Sun City Shadow Hills. 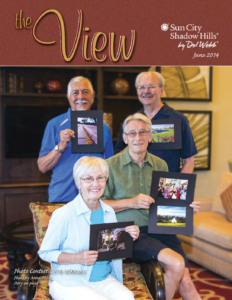 Nowhere else can residents find monthly articles from our own HOA board and its advisory committees; Lifestyle, Fitness, and golf; and all chartered clubs plus many feature stories about interesting neighbors -- all highlighting the quality of life that we enjoy. 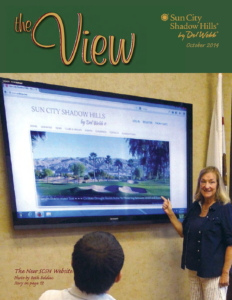 Many local businesses also advertise in The View, making it a trusted first stop for residents who need a wide range of services. 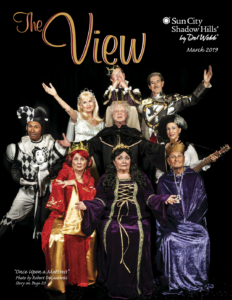 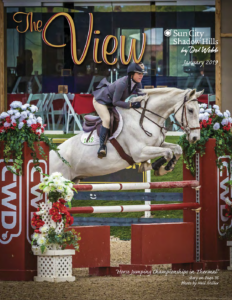 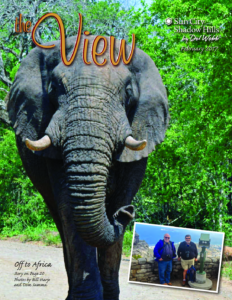 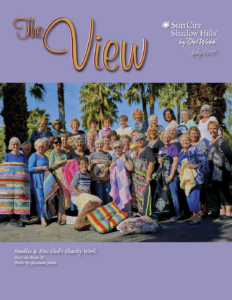 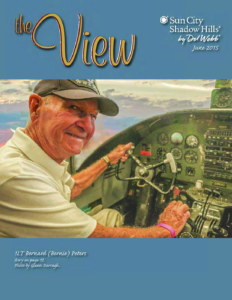 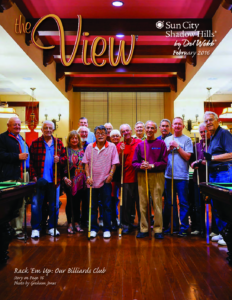 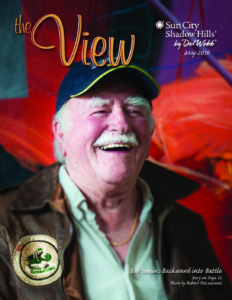 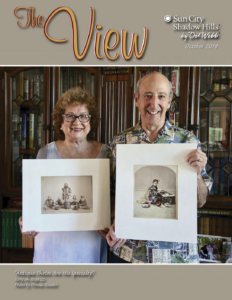 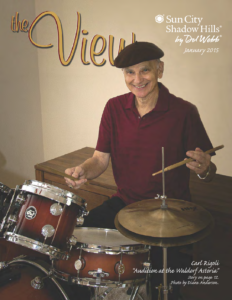 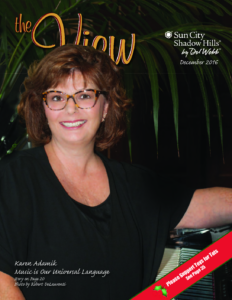 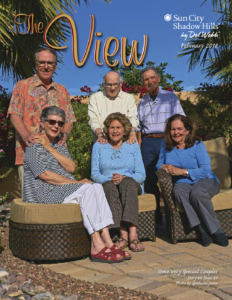 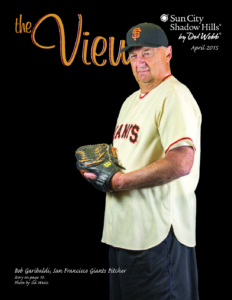 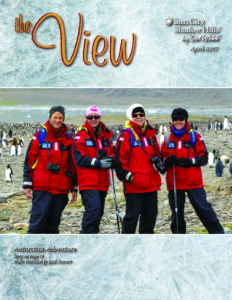 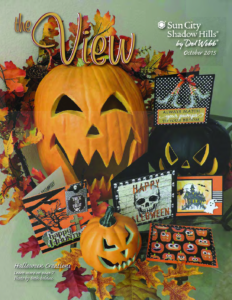 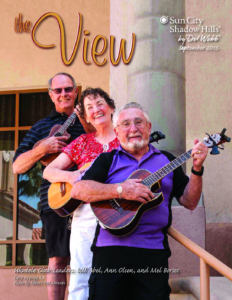 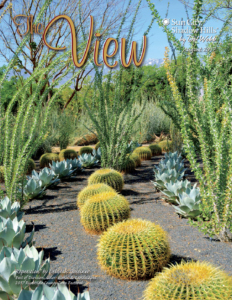 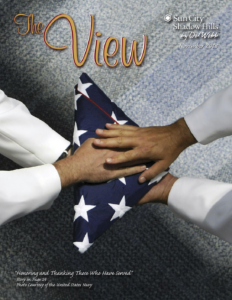 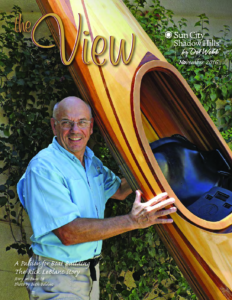 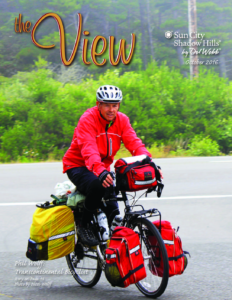 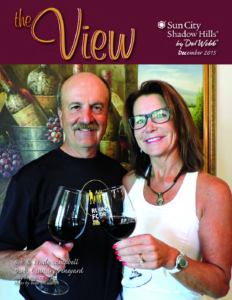 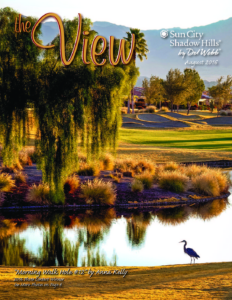 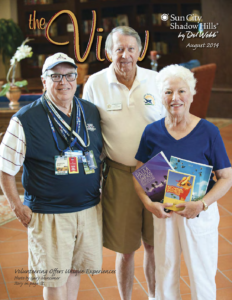 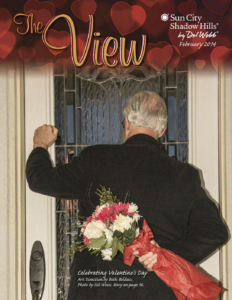 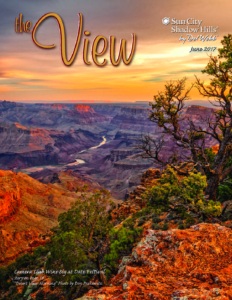 The View: not just another magazine, but an essential part of life in Sun City Shadow Hills.